London Othon Flat, Sao Paulo discount hotels and accommodation. The Othon Group presents the newest brand of its product: Othon Flats in São Paulo. 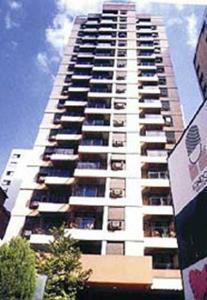 London Othon Flat is located in the heart of the gardens, at the Alameda Jaú, two blocks from the Paulista Avenue. View photos, room descriptions and make online reservations at London Othon Flat. Save on room prices at London Othon Flat, Sao Paulo.